Remote unit includes a built-in 4-port USB hub. 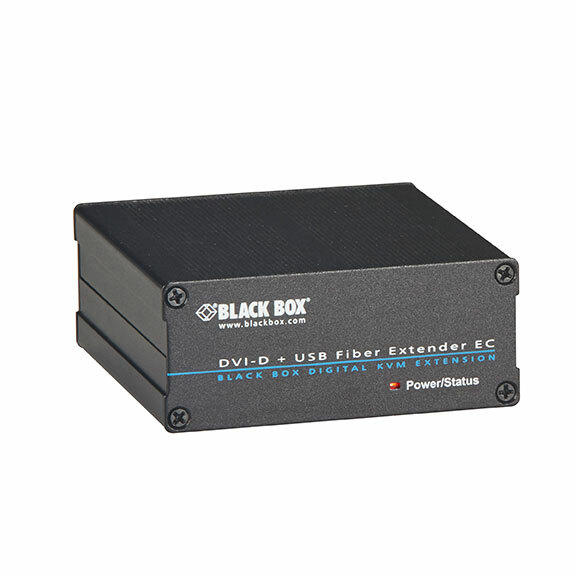 Extend high-definition video and USB KVM functionality. Support Full HD 1080p resolutions at 1920 x 1200. Add a switching license (ACX3-SW) to reach up to 48 endpoints for a simple, plug-and-play matrix switching configuration. Extend DVI-D, USB, and audio signals up to 426 feet (130 m) over copper cable. Remote unit includes a four-port USB hub, (4) USB Type A ports. 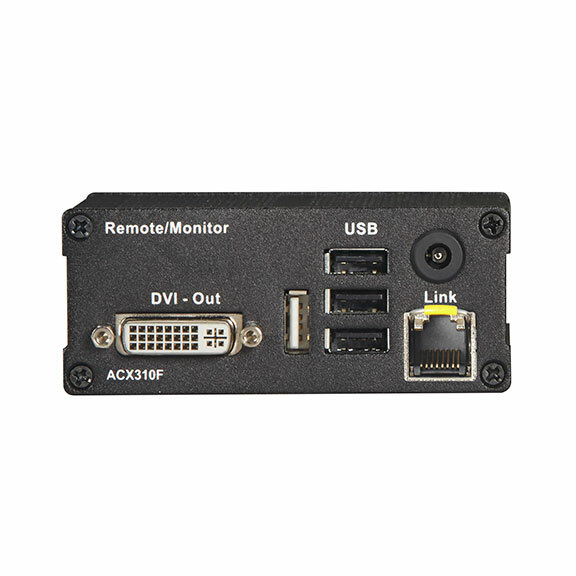 KVM Extender Receiver unit for DVI-II and USB-HID over CATx 130 Meters Extends audio and RS-232 via external USB adapters (not included). Audio supported using USB Audio. Questions? Call our FREE Tech Support. The KVM Extender Receiver DVI-I, USB-HID, CATx, Dual-Access comes with a standard 2 Year Double Diamond™ Warranty (Standard) already included.